Everyone gets nervous: You, me, and even Olympic athletes, including the great Michael Phelps. We all get butterflies when the situation is important to us. That is human nature. The difference is how we view this nervousness. Case in point: Aly Raisman, part of the USA’s “Fab 5” on this year’s gold medal women’s gymnastic team. On the night of the finals, the pressure was immense. The women’s team was in a close battle with Russia for the gold. All they needed was one last great performance by Aly on the floor exercise to lock up the gold for the US team. Talk about pressure – the world’s eyes were upon Aly – and she came through with an amazing performance, nailing one jump after another. What is Aly’s secret to handling the pressure? Aly Raisman turns pressure into pleasure! Aly has stated that she sees pressure-packed situations as exciting. With this type of viewpoint, she channels her nervous energy into a positive form of motivation. Instead of being overwhelmed by the situation at hand, she relished the moment. Her reframing of the situation led to her greatness on the most important night of her life. 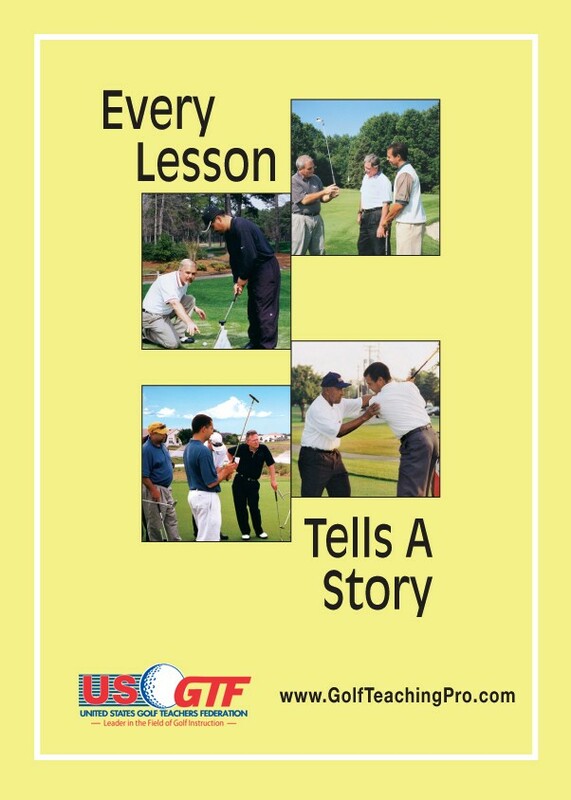 Unfortunately, many of your students do the opposite and turn a pleasurable golf experience into an excruciating pressure-filled moment. If they miss a green, they worry about not getting up and down and ruining their score. They should be enjoying their day on the course, but instead are worried about what others are thinking of them. They turned pleasure into pressure, and subsequently, their play is negatively affected. Teach your students to do what Aly Reisman does: Reframe the situation and see it as exciting and a challenge. When they miss the green, help them think of getting up and down as a fun challenge. If the hole is tight with water on both sides, help them to focus on the challenge of hitting the fairway, instead of worrying about hitting it into the hazard. Teach your students to switch their thoughts from worrying about scores and outcomes, and instead see golf as an amazing challenge. When they make this mental switch, their mood will be boosted and they will remain calm in the heat of battle. The philosopher Ralph Waldo Emerson knew that a twist of viewpoint can turn moments of despair into moments of triumph when he wrote, “To different minds, the same world is a hell or a heaven.” Any pressure situation can be a wonderful experience or a dreadful one. Golf can be seen as immensely hard or a fun, exciting challenge. When your students focus on the excitement in the game, they will be a champion under any circumstances. Dr. Gregg Steinberg is ranked by Golf Digest as one of the great golf masterminds. He has been the sports psychologist for the USGTF for more than 20 years. He coaches many top elite college and PGA Tour players on the mental game. You can reach him at mentalrules24@msn.com and see more about him at www.DrGreggSteinberg.com.